Sharon Isbin will perform for the Sun Valley Artist Series season debut concert on Dec. 11 at the Presbyterian Church of the Bigwood in Ketchum. The Sun Valley Artist Series will feature Grammy Award-winning guitarist Sharon Isbin at the Presbyterian Church of the Big Wood on Saturday, Dec. 11, at 7 p.m. Tickets for the show are $44 and $215 for the entire series of performances through April 30. Isbin received a 2010 Grammy Award for "Best Instrumental Soloist Performance (without orchestra)" for her CD "Journey to the New World." Isbin is the first guitarist in 43 years to receive a second classical Grammy and the only classical artist to perform in the 52nd annual awards. Her CD, "Journey to the New World," features legendary folk singer and writer Joan Baez. Isbin approached Baez for the album and said it was a wonderful experience. "I picked the two songs we would do," Isbin said. "We rehearsed in California. It was very moving. She has been a folk idol of mine for many years." "Journey to the New World" is an exploration of folk music from the Old World crossing to the New World, Isbin said. The album includes jigs, blues, swing, bebop and bluegrass. Isbin collaborates with musicians all over the world, but she said Baez brought her to tears because it was such an extraordinary experience. Isbin is the author of the "Classical Guitar Answer Book" and is director of guitar departments at the Aspen Music Festival and The Juilliard School. She created the guitar department at The Juilliard School in 1989, becoming the first and only guitar instructor in the institution's 100-year history. Isbin performs 60 to 100 concerts a season, has appeared as a soloist with over 160 orchestras and has toured Europe annually since she was 17. She's a chamber musician and has performed with Mark O'Connor, Steve Vai, Nigel Kennedy, Denyce Graves, Susanne Mentzer, the Emerson String Quartet and the Chamber Music Society of Lincoln Center. In addition, she performed a "Guitar Summit" tour with jazz greats Herb Ellis, Stanley Jordan and Michael Hedges. She has also made trio recordings with Larry Coryell and Laurindo Almeida and duo recordings with Carlos Barbosa-Lima. She collaborated with Antonio Carlos Jobim and has shared the stage with luminaries who include Aretha Franklin and Muhammad Ali. - All Sun Valley Artist Series concerts will be performed at the Presbyterian Church of the Big Wood in Ketchum and will start at 7 p.m. Tickets are available online at www.svwas.org and all Ketchum bookstores. For details, call 725-5807. - Saturday, Dec. 11, guitarist Sharon Isbin. Tickets are $44 or $215 for the series. 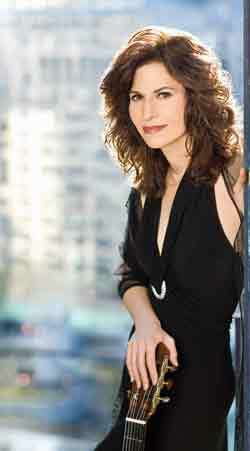 - Jan.8, pianist Susan Spelius Dunning. - Feb. 12, cellist Ben Hong, accompanied by St. Louis Symphony Orchestra pianist Peter Henderson. - March 25, the Italian Saxophone Quartet. - April 30, St. Petersburg String Quartet.